After earning her bachelor’s degree at Sweet Briar College and master’s at William & Mary, she began her career as an archivist at the Connecticut Historical Society and Schlesinger Library at Radcliffe. The experience she gained there served her well when she joined William & Mary in 1966 as the curator of manuscripts and rare books. As curator, Cook was responsible for the upkeep and documentation of 30,000 rare books and more than a million manuscripts and maps. 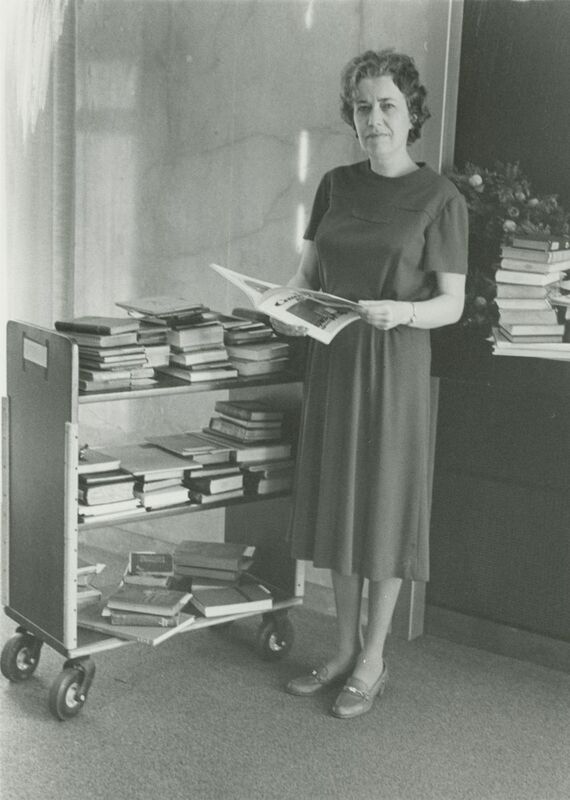 She also played a key role in growing the archives, working closely with alumni to donate their papers to the library. Her close connections to the Coleman and Blow families led to contributions of valuable family documents. Susan Riggs, former Frances Lightfoot Robb Special Collections Librarian, first met Cook in 1969 when she was a graduate student. When she returned to William & Mary in 1986, she had the opportunity to work alongside Cook. “One thing I noticed was that Margaret worked with everyone and treated everyone equally, regardless of hierarchy,” said Riggs. 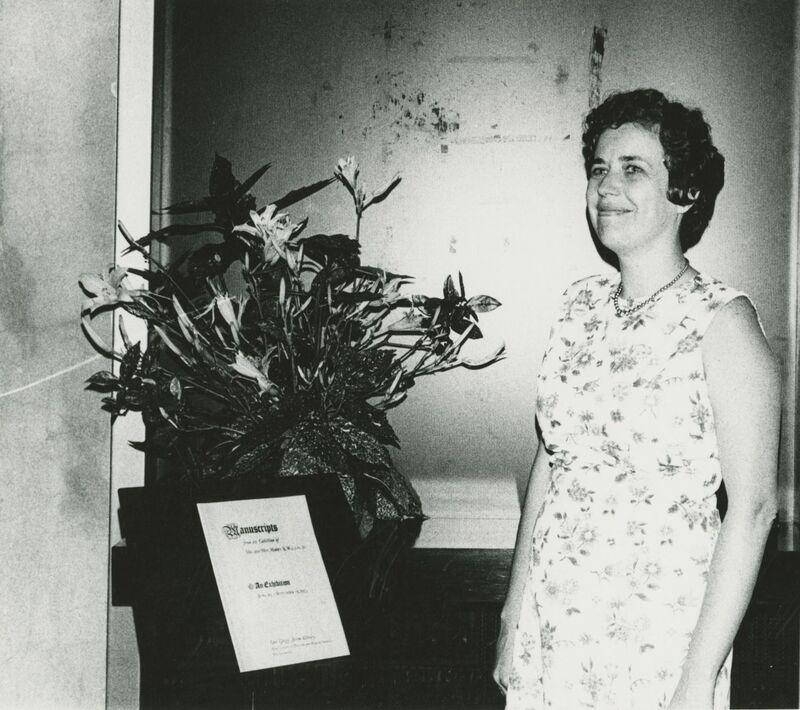 Cook’s background in history made her a valued partner to the Tyler Department of History; she assisted many history students with research assignments and dissertations. One of her strengths was pointing students to the collections that best fit their field of interest. “That was the one thing about Margaret -- she knew what research had been done and topics that had not received as much attention. She was an encyclopedia,” said Riggs. Jay Gaidmore, Marian and Alan McLeod Director of Special Collections, has worked with Cook since he was an undergraduate student, and credits Cook with playing a critical role in pushing his graduate research forward. Archives Photograph Collections, UA 8. Gaidmore has always admired Cook’s love and affinity for William & Mary. “My love for William & Mary and its community -- I got that from her,” he said. After volunteering for more than a decade, Cook has decided to focus on her research. “We appreciate her contributions so very, very much, and Special Collections will continue to benefit from her legacy,” said Ute Schechter, Warren E. Burger archivist. Although Cook no longer volunteers, she can still be seen in the Special Collections Research Center devoting her time to research and scholarship.